Some of my favorite comics of the mid-80s were Bruce Jones' Twisted Tales and Alien Worlds. Bruce was always one of the best writers at Warren (home to Creepy, Eerie, etc.) and, when he got the go ahead from Pacific Comics to do similar anthologies, he wrote some of his best scripts and had the best guys he could find draw them. It was like reading an issue of Creepy but without any of the usual lame filler stories. 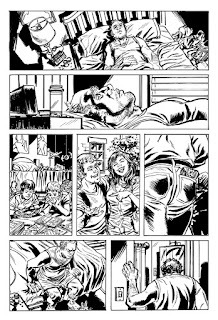 Which brings me to the newest issue of London Horror Comic. JP Kamath writes groovy, scary scripts that would make Bruce Jones proud. He publishes an issue whenever he can (hey, independent publishing isn't easy) and carries on the horror anthology tradition amongst a sea of boring superhero books. JP carries the torch for us old Creepy/EC fans. I'm always thrilled when he asks me to draw something for him. 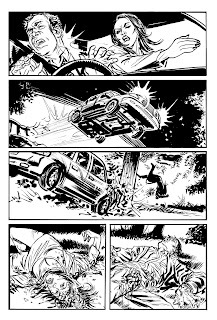 Years ago, drawing my earliest professional pages for Trailer Park of Terror, I never paid any attention to the writer's name on the scripts. Heck, we were all basically "unknowns" and none of us had more than a handful of books on our resumes. My job was to draw the story and send it to James, my editor. It didn't matter who wrote the thing. No interaction with the writer necessary. 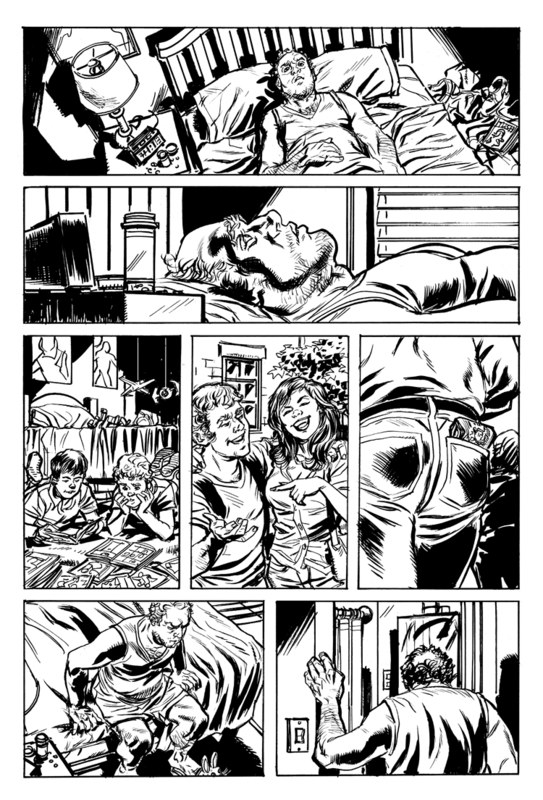 Well, by 2007 for issue #6 of TPOT (love that acronym), I was given a script called "Everybody loves Ray-Bob." It was a story about a white trash demon and his zombie girlfriend having dinner in a graveyard and eating a stolen puppy. Weird stuff. Probably written by some biker or hillbilly from Kentucky. As I started to draw the story, something just clicked. The fun action, witty dialogue, and great character moments really inspired me. My work took a big leap forward. Months later when I was reading my comp copies I glanced at the credits page. Right above my name was the writer on "Ray-Bob". Some guy named JP Kamath. Guess I was wrong about the Kentucky part.